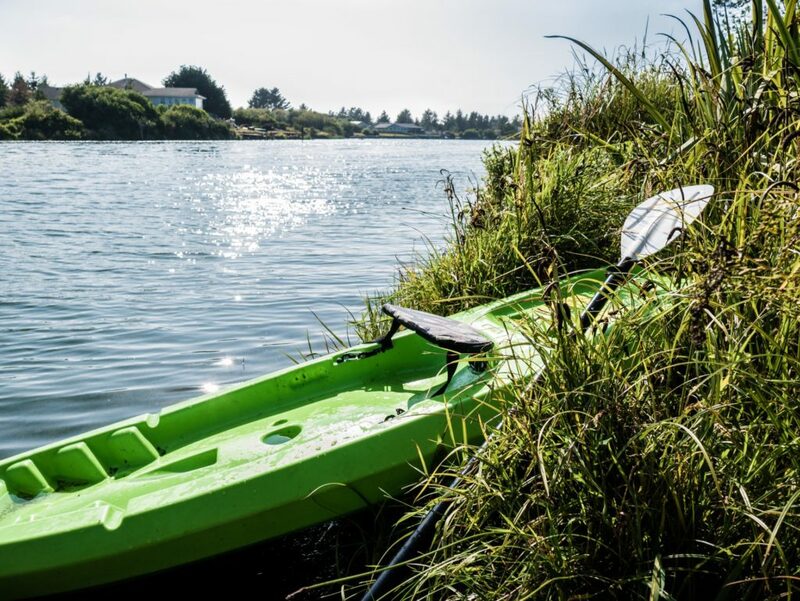 Ocean Shores has 23 miles of canals inviting for kayaks, canoes, and stand up paddle boards. After one long hot summer, few places are as inviting as an Autumn escape to the Central Washington coast. In the interest of full disclosure, it would be wise to pack a favorite sweatshirt or jacket for cooler days and nights. 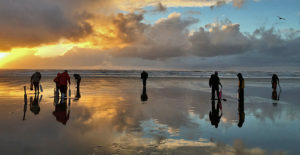 Here are 19 ways for you to get refreshed and recharged in Ocean Shores this Fall. Fall Getaway: The Longer You Stay, the More You Save! Stay one night, get 10% off. Stay two nights, get 20% off. Stay three nights and ge5 30% off. This offer is valid any days now through November 18. The Polynesian Resort is one of the most popular resorts along the Central Washington Coast. It features roomy, condominium accommodations. There’s plenty of room for family and friends. Full kitchens are available. The Polynesian also provides free continental breakfast each morning except Sundays when you can enjoy a sumptuous breakfast buffet at Mariah’s Restaurant. Amenities include a sparkling indoor pool, sauna, and spa. Check availability online. What’s on your family-fun bucket list? If you come to Ocean Shores, you can be sure to find memory-making adventures for everyone in your family. 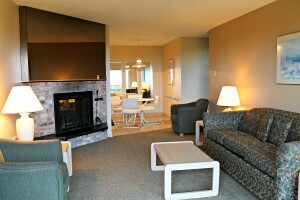 Ocean Shores is beautifully inviting for all members of the family. 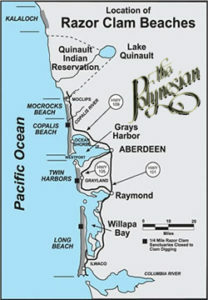 The town is surrounded by 23 miles of freshwater canals, with the Pacific ocean to the west. Wildlife abounds. 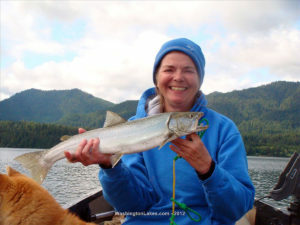 Freshwater fishing is plentiful. The waterways are ideal for kayaks, canoes, paddle boards and birdwatching. On the coast side, you’ll find miles of flat accessible beaches, perfect for kite flying, beach combing, and lounging. Ocean Shores has a unique vibe. For one, you can park your car on the beach, entering from five separate access points. Families love to load up their picnics and gear for a day of play, especially on July 4th when the sky is filled with colorful fireworks. You can also rent mopeds to ride on the beach or try out an electric fat tire bicycle. 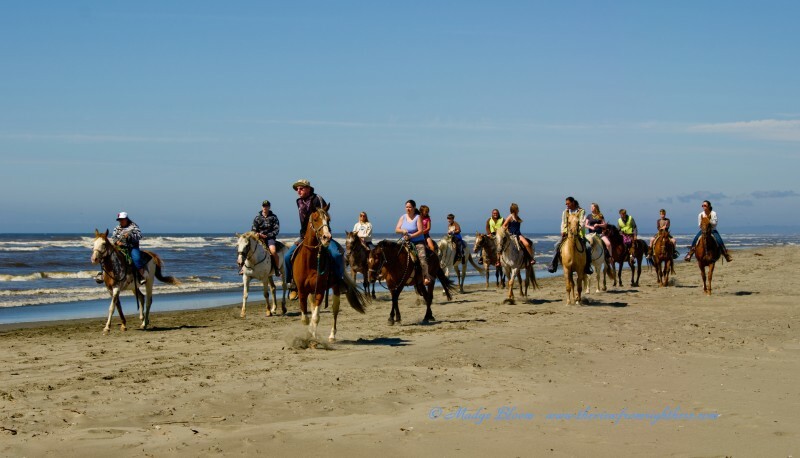 Or visit Honey Pearl Farms or Chenois Creek Horse Rentals for a horseback ride along the sand. The attractions in town are extremely inviting for families with kids. After a day on the beach, you can go bowling, race the kids around a go-kart track or play mini-golf. Discover surf shops, seafood joints and a boardwalk perfect for strolling at sunset. Certainly, a kid-friendly stop is the destination souvenir shop you enter through the mouth of a giant shark. Appropriately known as Sharkey, nearly every visitor to Ocean Shores stops there at least one time for a photo or to select a treasure to take home. Ocean Shores is the place to come to just relax and have fun with the people you love. Ocean Shores means summer for many Washington families. See why. Stay at The Polynesian Resort and enjoy spacious condo-style accommodations with full kitchens, an indoor pool, game room and private park. Bright days forecast at The Polynesian in Ocean Shores. In the days ahead, you’ll find relief from the forecast heat inland at The Polynesian Resort in Ocean Shores. While temperatures in urban areas will creep up in the 80’s and 90’s—too hot for most folks–you can stay cool on the Central Washington coast. At The Polynesian Resort, the forecast calls for sunny, bright days, in the comfortable mid- 60’s. 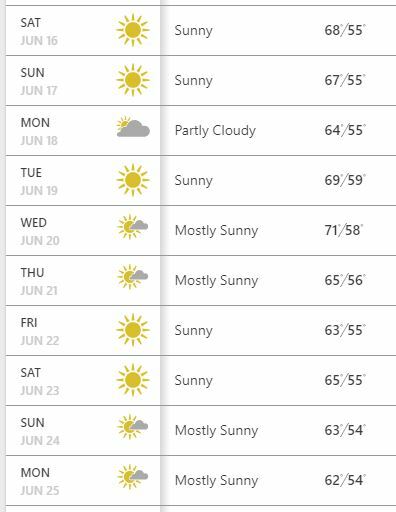 The weather looks perfectly inviting all the way through for the weekend of the annual Sand and Sawdust Festival presented by Five Start Dealerships. These are perfect days for beachcombing, riding bikes, hiking nearby trails or fishing from many lakes and streams. 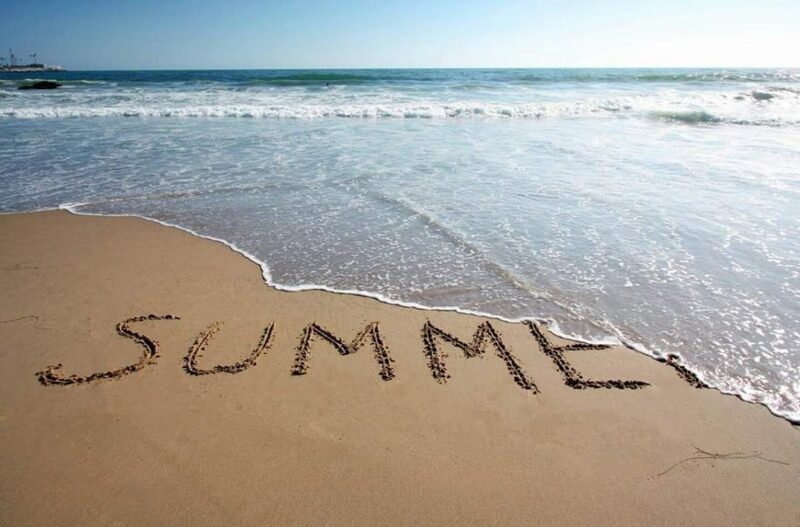 Or, you can check out special events all summer long in town and at the Ocean Shores Convention Center. 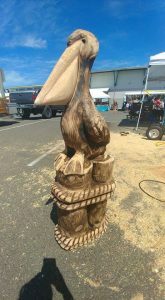 The annual Sand & Sawdust Festival combines three days of events around the unique art forms of chainsaw carvings and sand castle building. Twenty-eight amazing carvers will create nearly 100 unique chainsaw sculptures to be auctioned each day. You can watch the artists at work, then purchase your favorite creations. Professional and semi-pro chainsaw carvers from Argentina to Texas, Minnesota and the Northwest will demonstrate their skills. The Friday and Saturday the program includes the audience favorite “quick carve” event. Sandcastle building workshops will be held at the convention center. Resident sand artist, Doug Orr, will build a sandcastle and provide free daily sand building workshops for the entire family. With your new skills, you can head to the beach and build your own magical creations. 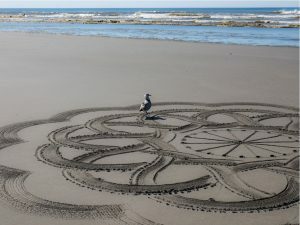 Then, on the beach, Justin The Circler will give guided instruction, teaching the ancient of sacred geometry through sand mandalas. Justin is a naturalist, philosopher, mathematician, inventor, carpenter, and artist. He will guide you as you create your own symmetric designs or just freestyle creations in the Ocean Shore sand. Lessons, tools, and plenty of sand await you for an experience you will not soon forget. Free lessons will begin at 1pm, Friday-Sunday. Your creations will last until the tide comes in. 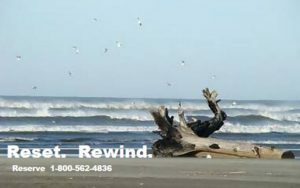 Make memories every time you visit Ocean Shores. 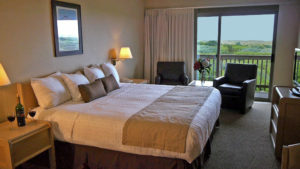 Book your room at The Polynesian Resort, ocean front in Ocean Shores! Celebrate Mother’s Day weekend at The Polynesian Resort in Ocean Shores where the forecast calls for sunny and 70 degree days. There are lots of ways to make a Mother’s Day memory with your mom and family at The Polynesian in Ocean Shores. The Polynesian is Ocean Shores’ premier ocean-front condominium resort offering a variety of spacious suites. It’s perfect for strolling miles of beaches, just over the dunes. Or, maybe mom would prefer to relax in the Polynesian’s huge indoor pool and spa. If mom likes the outdoors, why not give a pair of binoculars and set out exploring with her? Ocean Shores hosts some of the most amazing bird migration sites around the globe, drawing birders from around the world each spring. Learn more about locations and share sightings and information at www.ebird.org. When you book your stay at The Polyesian, be sure to include reservations for Sunday’s spectacular Mother Day’s brunch at Mariah’s Restaurant onsite. Mother’s Day Brunch at Mariah’s is a tradition for locals and visitors alike. The Mother’s Day brunch buffet menu at Mariah’s Restaurant is peerless. From honey-baked hams and salmon to Eggs Benedict, cheese blintzes, smoked bacon, jumbo sausages, chicken in artichoke cream sauce and fresh fruit and salads–all followed by a decadent dessert table. There’s not a better brunch along the coast line! Reservations are recommended. Brunch is served from 10am to 2pm dining. Adults are $24.95; seniors $19.95. Children under 10, $13.95. Call 1-360-289-3315. You can also purchase gift certificates for lodging stays at The Polynesian. 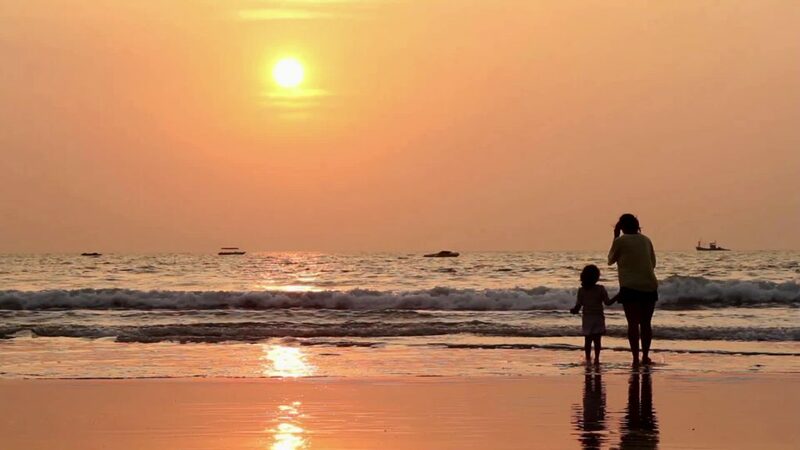 Perfect for mom to receive now and redeem in the future for a precious and well-earned getaway! CoastSavers volunteers. Many hands make light work. You can join the CoastSavers clean up this weekend and enjoy an outing to Ocean Shores. Gather up friends and family, walk the shore and lend a hand. The weather looks mild and promising for the annual spring event. Spring is an important time for people to respond to get the plastics and other garbage off the beach and out of circulation. In winter, debris arrives, getting trapped high on shore, on rocks and in sand. In summer, the opposite happens and waters tend to move debris offshore. But no matter where you live or what kind of work you do, marine debris is a human problem. Marine debris is trash that somehow ends up in the ocean. It could be a plastic water bottle you threw away several months ago – not at the beach, but at your home. Maybe it blew out of your garbage, landed in a nearby waterway, and floated out to the coast. Now it’s degrading and poisoning coastal wildlife and releasing its toxins into the food chain. Or maybe a commercial fishing boat lost some gear during a winter storm. Now it’s floating around out there, damaging coastal fisheries and pointlessly killing everything that gets caught. The Washington Coast Clean up is part of an International effort to clear debris from the shorelines. 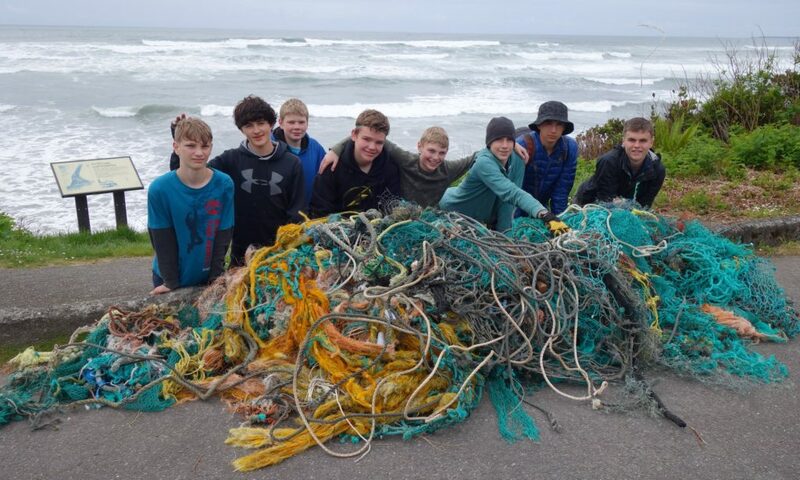 Register in advance and find out more about the beach clean up in Ocean Shores. Start a Polynesian Resort Tradition with Winter Activities and Family Fun! 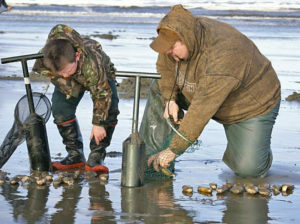 There’s nothing like clamming at sunset and preparing your own catch for dinner! 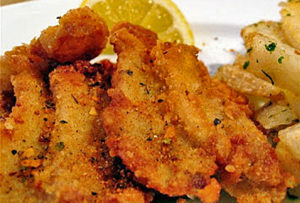 After catching your limit, bring your bounty back to your cozy and comfortable suite and feast on your bevy of Clams! What better way to celebrate Winter! There’s something about riding horseback on the beach and through coastal waves! Sooth and warm those winter chills in our heated indoor pool and spa. Ocean Shores and The Polynesian Resort ~ the Perfect Pair for Cold Wintry Weather and Clams! Create a tradition with your family and friends. Reserve your two to three day outing and settle into your comfortable and spacious beach-side suite at The Polynesian Resort. This family fun activity has tasty dividends that families and friends can enjoy together. Plus, the incredible scenery and sunsets can’t be beat! Then after you catch your limit! Bring your bounty back to your cozy and comfortable suite at The Polynesian and feast on your bevy of Clams! What a better way to celebrate Winter! Handmade crafts & arts from over 70 vendors! Dale’s Lavender Valley will be at the Ocean Shores Convention Center along with 70 arts and crafts booths – just in time for the holidays! Featuring lots of NEW products! Gift ideas ranging from wonderful stocking stuffers to great hostess gifts, as well as delightful holiday gifts for everyone. 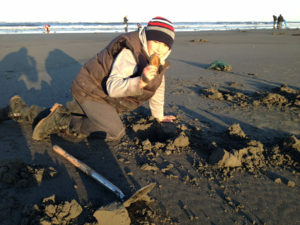 Whether you’re in boots or barefoot, the sandy beach at Ocean Shores is perfect for digging clams (seasonal/low tide), searching for treasure, or watching a storm roll in to shore. Fly a kite, go for a seaside run, or gaze at a night sky brimming with stars it’s all yours just outside the Polynesian Resort. At the North Jetty, just south of the Polynesian Resort, you can take in views of the shipping channel and historic Westport across the bay, featuring one of the west coast’s tallest lighthouses! Deep-sea, surf, and freshwater fishing are all close at hand. For freshwater fishing, try Duck Lake or any of the inland canals’ 23 miles of fresh water, navigable, interconnected waterways. 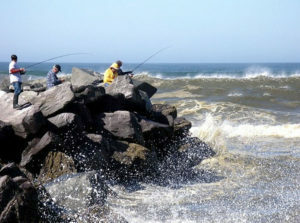 Surf fishing is best near the North Jetty or at Damon Point State Park (near the marina). Waters off the State Park are also the best places to go crabbing. There’s nothing like fresh air, exercise, and exploration amid the natural beauty and wildlife surrounding Ocean Shores. A few miles north, the Lake Quinault Valley is home to many nationally recognized giant trees. This unique ecosystem has more than 15 maintaine d trails and uncountable vistas at every turn. East of Lake Quinault, explore the 11,961-acre Colonel Bob Wilderness area and wonder under an evergreen canopy, surrounded by ferns, moss and lichens. 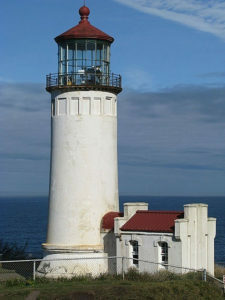 Ocean Shores is one of the premier bird watching sites in the Northwest. 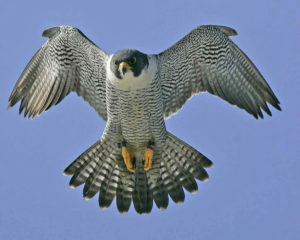 From waterfowl to migratory birds, predators to prey, you’ll marvel at the action and diversity. Be sure to visit Damon Point (also known as Protection Island) for a chance to see the Snow Plover, Peregrine Falcon, and Brown Pelican. It’s all here… just steps away from the Polynesian Resort! You know that overall feeling of peace that you experience when you’re at the beach? It’s for real. Scientists are are now referring to it as “blue space.” Fresh smells and the sound of the rolling ocean calm your brain. And, the way your brain reacts to that environment leaves you happy, relaxed and energized. Experiencing refreshing blue space at the beach is like hitting a reset button for your brain. Reduce stress. Water is nature’s cure to the stress of life. So whether you jump in for a swim or dip your toes in the water, you’re sure to experience a feeling of relaxation. Boosts creativity. If you’re in a rut, blue space allows you to clear your head. The calmness allows you to tune everything else out and reflect on what you need to resolve, allowing you to approach problems or projects with a fresh perspective. Reduce feelings of depression. The calming environment of the beach provides some relief to feelings of depression. The hypnotic sound of the waves can clear your mind in a safe space away from the chaos of daily life. Is it time for you to “reset”? Call The Polynesian Resort today! 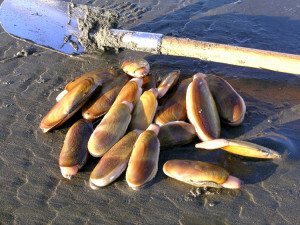 State shellfish managers have approved razor clam digs this weekend at Copalis and Mocrocks in Ocean Shores. 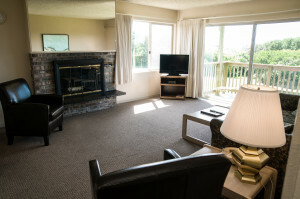 With roomy, apartment style suites, The Polynesian is the perfect place to stay during your visit to Ocean Shores. All diggers age 15 or older must have an applicable 2017-18 fishing license to harvest razor clams on any beach. 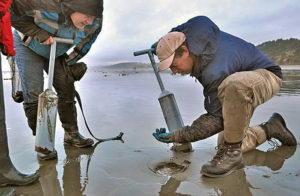 Licenses, ranging from a three-day razor clam license to an annual combination fishing license, are available on WDFW’s website at https://fishhunt.dfw.wa.gov and from license vendors around the state.